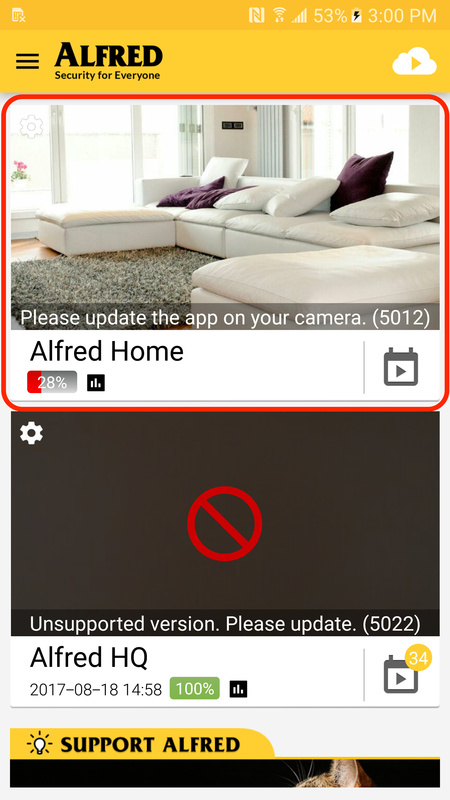 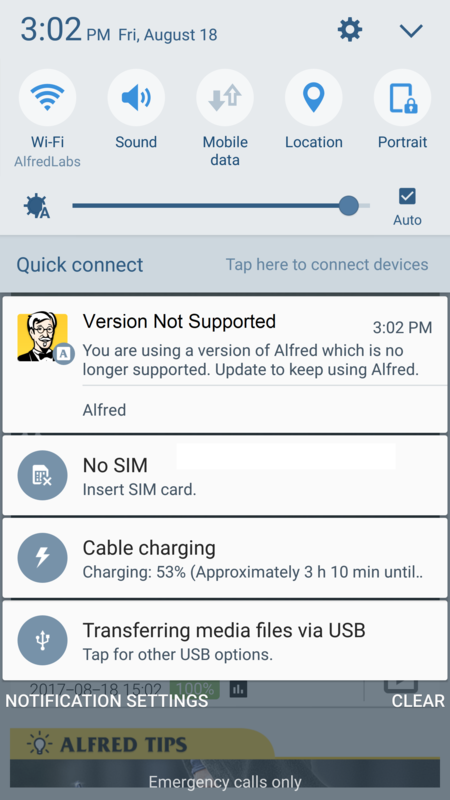 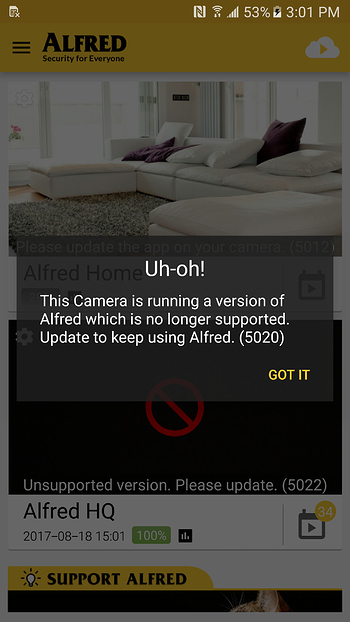 End of Support for Alfred Android below 3.10.6 - Announcements - Alfred Center | get the most out of the best home security app! 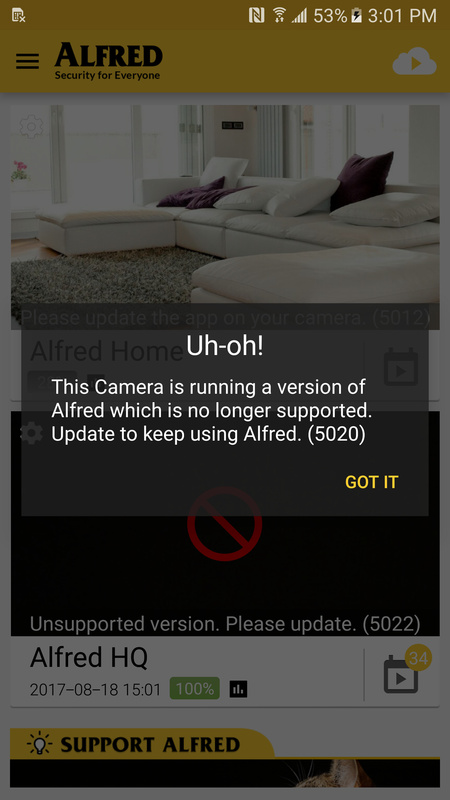 To ensure everyone gets the best user experience, Alfred Android versions below 3.10.6 are no longer be supported. 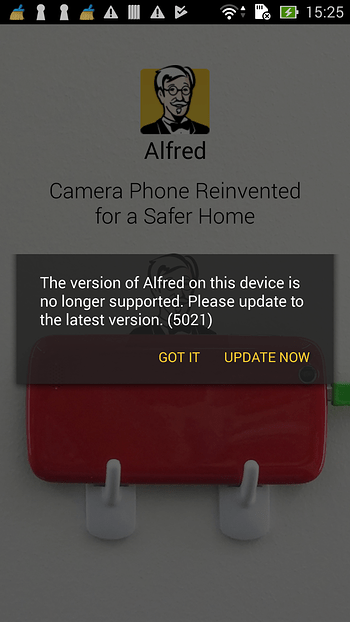 The version number will change as we move on, and the post will be updated accordingly. Your Camera will continue to work for quite a while with full functionality. 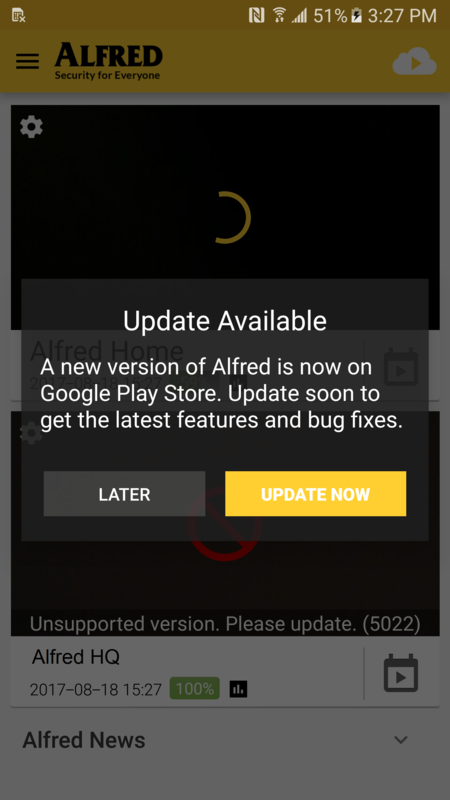 However, we still encourage you to update as soon as possible to enable access to all the latest features as well as bug fixes. 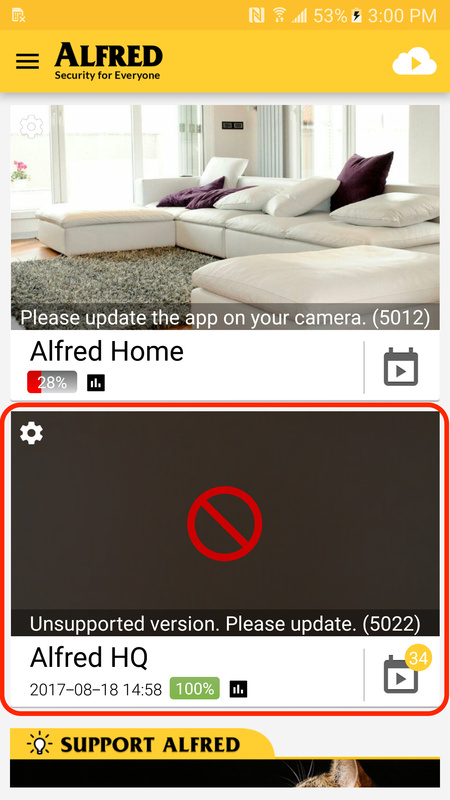 This is a stronger reminder that we will stop supporting this version in the near future. 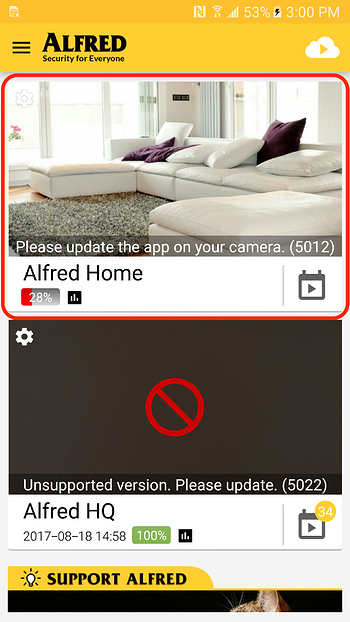 Please update the app on the Camera(s) as early as you can to keep it working. 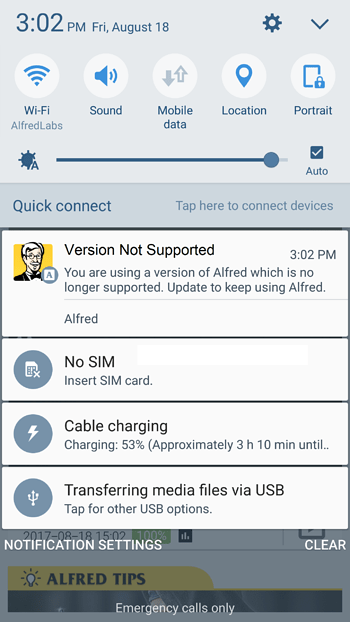 These inform you that this version is no longer supported. 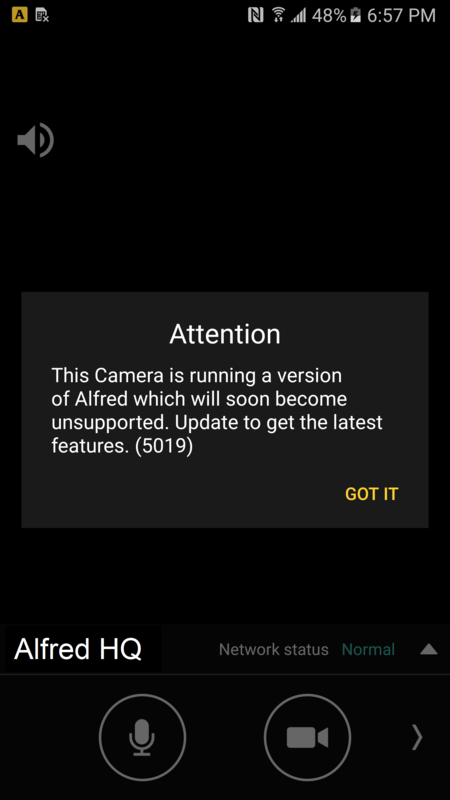 Although the Camera will remain online, features including live feed and Motion Detection will be disabled. An update is mandatory for the Camera to work again. We suggest you run the latest version on all your devices to optimize Alfred’s performance!